Tony Abbott is facing a fight against Australia’s indigenous, Jewish, Arab, Chinese, Greek, Armenian, Lebanese and Muslim populations, who have united in urging the government not to proceed with announced plans to abolish or weaken race hate laws. As his first legislative act, Attorney-General George Brandis wants to introduce a bill to change sections of the Racial Discrimination Act that protect ethnic groups against hate speech. He especially dislikes provisions that make it unlawful to offend or insult people on the basis of their race. Declaring himself a champion of ”freedom”, Senator Brandis has disparaged the laws used against Herald Sun columnist Andrew Bolt over an article he wrote in which he accused ”white” Australians of identifying as Aborigines to advance their careers. The head of the Executive Council of Australian Jewry, Peter Wertheim, said he could not recall ”any other issue on which there has been such unity of purpose and strength of feeling across such a diverse group of communities”. Jewish leaders have combined in a rare joint protest with prominent ethnic and indigenous leaders. ”We have read with growing concern that the federal government has plans to remove or water down the protections against racial vilification,” reads the statement signed by the heads of groups including the National Congress of Australia’s First Peoples, Arab Council Australia, Chinese Australian Forum, Executive Council of Australian Jewry, Australian Hellenic Council, Lebanese Muslim Association and the Armenian National Council of Australia. Senator Brandis has indicated he appreciates the growing backlash against his ”free speech” reforms. He sent Fairfax Media a statement in which he promised to consult with ”stakeholders and interested parties … before introducing the legislation”. 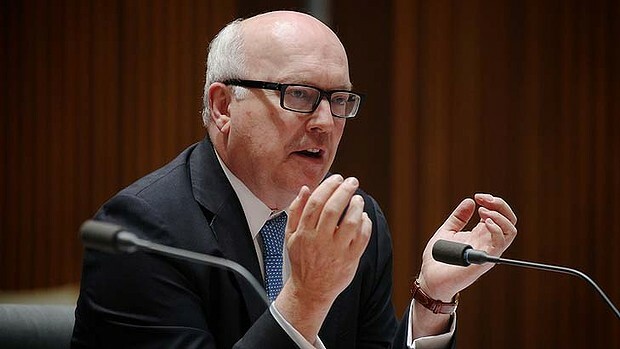 ”One of my key priorities as Attorney-General is to rebalance the human rights debate in Australia,” he said. Race Discrimination Commissioner Tim Soutphommasane said weakening the race hate laws would send a dangerous signal. ”There must be strong and effective legal protections against racial vilification,” he said.